Einstein was born in UIm, in the kindom of Wurttemberg in the German Empire, On 14 March 1879. His Father name is Hermann Einstein and Mother name is Pauline Einstein. 1. When Einstein was born, his head was very large and he did not even start speaking until he was 4 years old. But one day when 4-year-old Einstein was sitting with his parents at dinner, he broke his four-year silence and said- 'Shoop is very hot'. Einstein's parents were amazed by the utter utter words of their son four years later. 2. 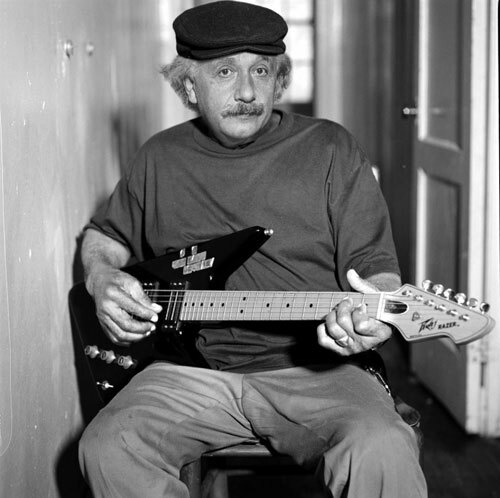 Einstein did not like to wear socks while traveling on the yacht and playing violin. 3. When Einstein was working at Princeton University, one day while returning home from the university, he forgot the address of his house. Although most of Princeton knew Einstein, the driver of the texy they were sitting did not recognize him. Einstein asked the driver, "Do you know Einstein's address?". The driver responded, "Who will not know in Princeton?" If you want to meet him, then I can get you to his house. "Then Einstein told the driver that he himself is Einstein and forgot the address of his house. Knowing this, the driver transported them to his house and, despite repeated requests from Einstein, did not even take the texy freight. 4. Einstein once said - "In my childhood my toes were pierced by my toes so I stopped wearing socks". 5. Caltech (California Institute of Technology) invited Albert Einstein to a ceremony. Einstein went to take part in the program with his wife. He also saw the Space Observatory located on Mount Wilson. The world's largest space telescope was built in that observatory at that time. After looking at such a large telescope, Mrs. Einstein asked in charge of the observatory - "What do you see with such a big telescope?" In charge, it seemed that Mrs. Einstein's astronomical knowledge was somewhat less. He answered with a loud voice - "From this we discover the mysteries of the universe." "It is a strange thing. My husband does all this on the envelopes of his letters. "- Mrs. Einstein said. 6. Due to Nazi activities, Einstein had to leave Germany and take refuge in America. He was invited by big universities to give him the title of the teacher here, but Einstein chose Princeton University because of his quiet intellectual environment. On the first visit to Princeton, the administrative officer of Einstein said "Give the list of the tools you need to use so that they can be made available to your work soon." Einstein said effortlessly - " Blackboard, give some chalk, paper and pencil. "The officer was shocked to hear this. Before he could say anything else, Einstein said - "And also ask for a big basket because I do a lot of mistakes while doing my job and the small basket is very quickly filled with junk." 7. When people asked Einstein about their laboratory, they smiled only by pointing towards their head. When a scientist asked him about his most beloved device, Einstein showed him his fountain pen. His brain was his laboratory and Fountain Pen his tool. 8. Einstein's memory was not much better. They had problems remembering dates and phone numbers. Even they did not remember their own numbers. 9. Einstein loved drinking cigars very much. So much so that once he had fallen into the river during the boat marching and got out, he was completely drenched, but during this time he also kept his pipe with great care. He was a member of Montreal Smoker's Club. Once he said, drinking cigars helps in reaching the right conclusions and staying calm in worldly or practical matters. 10. Einstein's birthday is celebrated on 14th March in the form of 'Genius de' all over the world. 11. 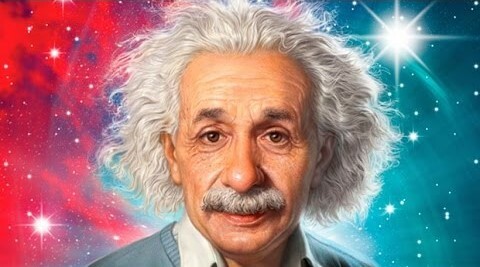 Einstein slept for 10 hours at night to do a great job. 12. He was a very inept musician. In the biography of Charlie Chaplin, Einstein's music love is mentioned in one place. He used to play violin in his kitchen, he used to listen to Mozart's music in a free time, that is, he had an attachment to music, and he always had a violin from his childhood to old age. But the knowledge of music was so low that at many times even while sitting in the midst of the louds, even untiring music played with confidence and looked forward to the people. Others laugh, but their wife always encourages them. 13. A colleague from Einstein asked him his telephone number. Einstein found out his number in the telephone directory that was held The colleague said astonishingly - "You do not even remember your own telephone number?" "No" - Einstein said - "Why should I remember something that I find by searching in the book". Einstein used to say They do not remember anything that can be found in two minutes. 14. The memory of the great scientist was very bad. They often used to forget many things in the practical world. For example, children's birth day or any special day Once forgot the birthday of her girl friend Birthday. The next day he apologized for writing a letter. Written in it - Sweetheart, first of all accept my congratulations for your departed birthday day ... which was yesterday and once again I forgot it. 15. Once Einstein's math professor had called him 'Lazy dog' because Einstein was very weak in studies. 16. In Einstein's mind, he was interested in science when he was five years old and his father brought him a Compass. 17. By the way, all searches for Einstein are famous. But most of his publicity came when he published a letter on Pon-energy equivalence (E = mc2). It means that if the unit mass is multiplied with the square of motion of light, then the same energy gets from it. Inspired by this, new scientists had started researching certified bombs. But Einstein was against this wrong experiment throughout life. 18. Once Einstein was fired from his school due to his strange behavior and at the age of 17 he had failed in all subjects except in all examinations of college entrace, except mathematics and science. 19. The upper picture was taken when the Einstein party was completing the party in 1941 and one photographer urged him to take a photo of a smiling. 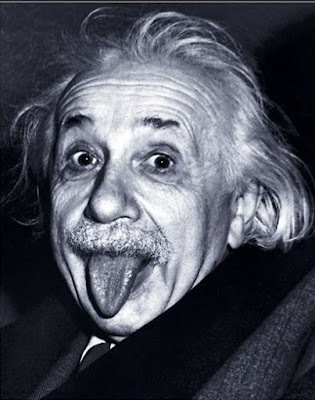 Einstein, who was already tired, took out his tongue and gave his photo. The photographer captured this memorable moment. 20. In 1952, the United States offered Einstein to become the president of Israel, but Einstein rejected the offer by saying that it was not for politics. The reason for this is that Einstein was a Jewish and Israel is a Jewish country. 21. One day Albert Einstein was going to give a speech, on the way his driver said that I've heard so many times that I can give you a speech in front of people. By saying that 'okay you give speeches today' Einstein dressed driver's dress and took his place and gave his place to the driver. In the speech hall, the driver literally gave a smoky speech, just like Einstein. After giving a speech, people started asking questions and the driver gave the answer with the same confidence as the correct answer. But someone asked such a difficult question that the driver did not know the answer. On this the driver said, "Hey, the answer to this question is so simple that my driver will tell." By saying this, he erected a driver's dress and placed Einstein to answer. 22. Einstein was traveling by train to go somewhere from Princeton. When the ticket checker came to him, he started pocketing to find his ticket. They did check their suitcases if they did not get tickets in pocket. There, even after missing the ticket, they started searching around their seats. Seeing this, Checker said that if the ticket is lost, then no matter, he recognizes them well and believes that the ticket must have been purchased. When the checker was returning after checking the ticket of all the people of the bogie He found that Einstein is looking for a ticket under his seat. Then Checker again told them that they would not be troubled for the tickets, they would not ask for a ticket. Einstein said, "But without ticket, how will I know where I am going?" 23. Albert Einstein has a long list of events of love. Twenty years after his death, his step daughter published 1500 papers in which his nearly 6 love affair was revealed. He used to write the latest story of his love relationship in this letter to his daughter. However, many experts say that he has been in more than 20 love relations. He had a girlfriend, famous actor Marilyn Monroe. Einstein's popularity and his scholarly discussions attracted women to him. Once Germany's 1 socialite which she called M, got her and got drowned in love. He made a show of fire on Einstein. He stayed with Germany for some time and then Einstein came to London. He came to London behind them. After that Einstein went to America. He reached there too. He had a similar Russian girlfriend, whom he called a detective. He also eclipsed nearly half of the world behind Einstein. 24. At a ceremony, a woman requested Einstein to explain the theory of relativity. Einstein said: "Madam, once I was walking with my blind friend in the countryside and I told him that I have a desire to drink milk". "Milk?" - My friend said - "Drink, I understand but what is milk?" "Milk is a white fluid" - I replied. "I know fluid but what is white?" "White - like the goose feathers". "I can feel the wings but what is this swan?" "A bird whose neck is twisted". "I know the neck, but what is this mudi?" "Now my patience started answering. I grabbed his arm and straightened it and said - "This is straightforward!" - Then I turned it on and said - "It's back!" "Oh!" - The blind friend said - "Now I understand what milk is like". 25. When Einstein was a professor at the University, one day a student came to him. He said - "This year's examination has got the same questions that came in last year's examination". "Yes" - Einstein said - "But the answer has changed this year". 26. After Einstein's death, his brain was taken out without the permission of his family. This immoral act was done by Dr.Thomas Harvey to research on their brains. In 1975, according to the order of his son Hans, he sent 240 samples of his brain to many scientists who, after seeing, found that he had more counts than the common man in his mind.